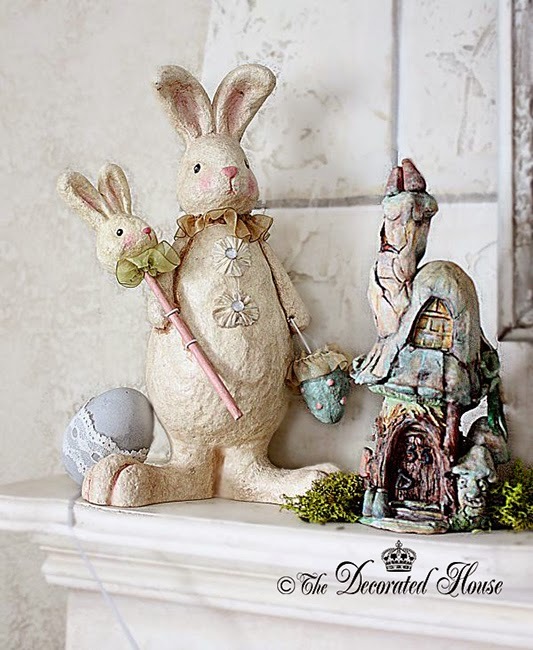 Love your mantel, Donna! That graphic in the frame is great. 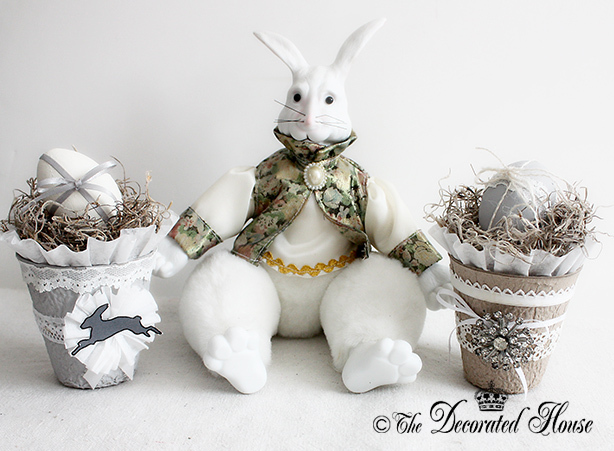 It has my love of bunnies and chandeliers in one! So nice to see you. Thanks for stopping by and enjoying a bunny or two. I'm happy to enjoyed seeing my art. 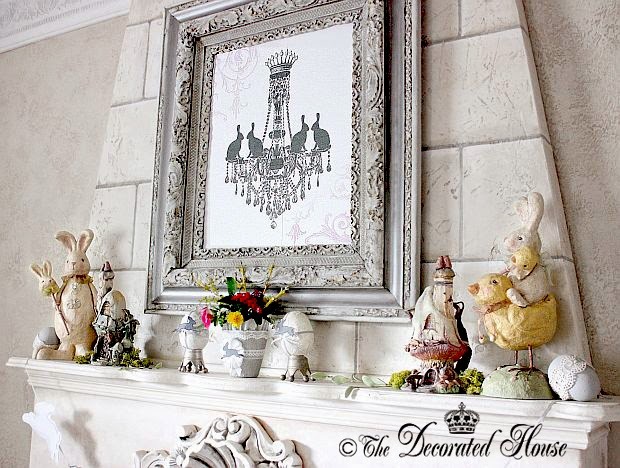 I too think the bunny chandelier is charming. And it was fun to use it for Easter this year. LOVE how this looks, you touched every details. The framed are is so pretty and I love your fireplace!!! 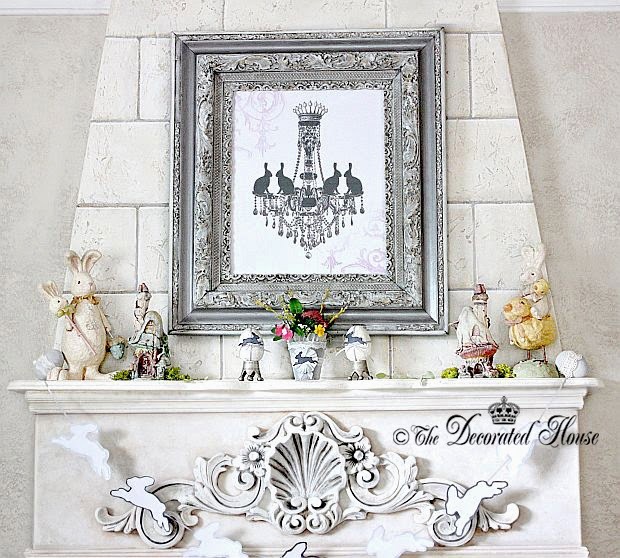 The print above the fireplace is elegantly done! make them true works of art. I hope you are having a wonderful Spring! Thank you for your oh-so-sweet note.